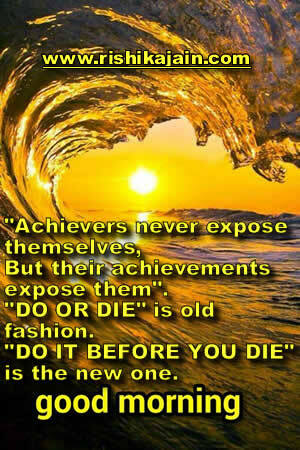 But their achievements expose them”. “DO OR DIE” is old fashion. “DO IT BEFORE YOU DIE” is the new one. i hope im communicating to rishika jain .awesome to go on ur site.contact me positively.